I am a practicing endocrinologist here in Cebu City… a specialty that deals with endocrine disorders like Diabetes, Thyroid Diseases and Osteoporosis among the many. I am a Faculty Silver Medal Awardee and a graduate of Cebu Doctors’ University College of Medicine. I did my Residency Training in Internal Medicine at the New York Medical College and did my Fellowship training in Endocrinology, Diabetes and Metabolism at the Mayo Clinic in Rochester, MN. During my training in New York, I was awarded the Teacher of the Year and while at Mayo, I received the Young Investigators’ Award by the American College of Endocrinology. I am a Fellow of the American College of Physicians and the American College of Endocrinology, Fellow of the Philippine College of Physicians and Philippine Society of Endocrinology and Metabolism. A Diplomate of the American Board of Internal Medicine and the American Subspecialty Board of Endocrinology, Diabetes and Metabolism. I came back to my country to practice my specialty and share my expertise to my countrymen. In 1999, I established the Treatment Center for Diabetes, Thyroid Diseases and Osteoporosis at Cebu Doctors’ University Hospital where I am presently based. Our Center has a Clinical Research Unit fully accreditied to undergo International Multicenter Clinical Phase 3 Research Trials of new products in the treatment of Diabetes. Currently we are participating in 4 Clinical Phase 3 Trials including Studies on Incretins and Inhaled Insulin. I’ve been invited to lectures in National and International conventions related to my specialty and presently a Diplomate and Fellow of the Phillipine College of Physicians and a Diplomate of the Philippine Society of Endocrinology,Diabetes and Metabolism; a Diplomate and Fellow of the American College of Physicians and the American College of Endocrinology. Understanding Ones Disease Thru Education Is A Prescription To Better Health! And lastly, I am happily married and blessed with 3 great children. Strategies in the Mgte of DM, Dept Of Health Workshop,Cebu, Nov, 1997. Coroanry Patients with Dysglycemia: The Need for Multiple Risk Factor Intervention. PLS/PHS Annual Convention, Edsa Shangrila, Feb 2, 2005. The Hypertensive Diabetic. Servier Symposium on DM and HTN, Novotel, Beijing March 4, 2005. The Sulfonylurea Factor in the Mgte of DM. Weekend Diabetes Workshop. Legend Hotel , Palawan. April 8, 2005. The Many Faces of Diamicron. Diamicron Pearl Anniversary Lecture, Waterfront Hotel, Cebu City, June, 2007. Achieving Target A1c Using Insulin Therapy. Novo Nordisk Symposium, July 2007, Marco Polo Hotel. Nutrition Management for Diabesity, Nestle Symposium, July 5, 2007, Marco Polo Hotel. Postmenopausal Osteoporosis: Treating Beyond BMD. Lilly RTD Symposium, July 17, 2007, Marriot Hotel. Rosiglitazone: Sustaining Glycemic Control And The Potential To Delay Progression. FOCUS Meeting, GSK, August 13, 2007. Hotel Intercontinental. Pharmacotherapy Is Not Recommended for Prediabetes. PSH/PLS Plenary Debate, Crowne Plaza, Manila, February 15, 2008. The Role of Raloxifene in Postmenopausal Osteoporosis. PCP/Lilly Symposium. Marco Polo Hotel, April 4, 2008. Controversies and Issues on Diabetes in 2008. Cebu Doctors’ University College of Medicine Alumni Assc, July 11, 2008. Multiple lecture opportunities have been made since 2009 to the present including Plenary lectures for Diabetes Philippines, AACE International Joint Meetings and the Philippine College of Physician Annual Meeting…. Tan GH, Farnell GF, Hensrud DD, andLitin SC. Acute wernicke’s encephalopathy attributable to pure dietary thiamine deficiency. Mayo Clinic Proceedings. 1994;69:849-850. Tan GH, and Gharib H. Recurrent hyperthyroidism after radioiodine-induced hypothyroidism: a report of two cases and literature review. Endocrine Practice. 1995;1(3):158-160. Tan GH, and Young WF, Jr. Transient Hypopituitarism. Endocrine Practice. 1995;1(5):320-322. Tan GH, Gharib H, and Reading CC. Solitary thyroid nodule: comparison between palpation and ultrasound. Archives of Internal Medicine. 1995;155(22):2418- 2423. Tan GH, Dutton CM, and Bahn RS. Interleukin-1 receptor antagonist and soluble interleukin-1 receptor inhibit interleukin-1-induced glycosaminoglycan production by cultured human orbital fibroblasts. Journal of Clinical Endocrinology and Metabolism. 1996;81(2): 449-452. Tan GH, and Young WF, Jr. Coexistence of bilateral pheochromocytomas and idiopathic hyperaldosteronism, Clinical Endocrinology. 1996 44:603-609. Tan GH, Gharib H, Suman V, Goelner J, and Bahn RS. Management of thyroid nodules in pregnancy, Archives of Internal Medicine. 1996; 156:2317-2320. Tan GH,and Nelson RL. Pharmacologic treatment options for non-insulin dependent diabetes mellitus, Mayo Clinic Proceedings. 1996;71:763-768. Al Suwaidi J, Tan GH, and Bruggenmeyer CD. Resident’s Clinic: A 54-year old male with impotence. Mayo Clinic Proceedings. 1996 (published). A. Chacra1, G. Tan2, A. Apanovitch3, S. Ravichandran3, R. Chen3; Saxagliptin Added To a Sulfonylurea Is Safe and More Efficacious Than Up-titrating a Sulfonylurea in Patients With Type 2 Diabetes. Submitted to European Assc For The Study of Diabetes, Rome, 2008. Antonio Roberto Chacra1, Gerry Tan2, Anne Marie Apanovitch3, Shoba Ravichandran3, Roland Chen3 Saxagliptin Added to a Sulfonylurea (SU) Improves Glycemic Control in Patients With Type 2 Diabetes (T2D) Versus Up-titration of SU . Submitted to the American Diabetes Association 2008. Costelo, Evangeline, Tan Gerry H. et al. A Prevalence survey of Pediatric Type 2 Diabetes Mellitus Among Patients of Filipino Physicians. Endocrine Practice, Vol 21, Supplement 2, pages 65-66, 2015. Tan, Gerry H. and Buaya Carlo Andrew. Lazarus: A Metabolic Problem Arising 13 Years After the Predisposing Event. Endocrine Practice. Vol 21, Supplement 2, pages107-108, 2015. Dr. Gerry, I have to say from my experience of our trip in South Africa, you are a WORLD-CLASS doctor. You handled the lost luggage experience with such class & magnanimity — I would’ve been distraught if that had happened to me — but you and Mrs. Tan were great and fun members of the group 🙂 ‘Til the next trip! Nice website.I enjoyed reading and browsing.Keep it up. Good Morning Doctor Gerry. Are you affiliated with Medserv? please call my office clinic number Rachel 2535460 and inquire from my clinic nurse. Doc pwede makapareserve by next week ako problema doc about sa thyroid hormone doc daghan nako ug gpangbati, hypo ko karon doc, kanus a ko pwede makahimu ug appointment nimu doc.? Good day to you Doc Gerry. I wanna thank you for changing my mother’s life. You are an angel. God bless you always and your family. My mom’s name is Alicia Magallanes, she will visit you next month. She’s everything to me Doc and I am glad you’re there to take care of her health. Thnaks for that nice comment Johoney. For any concerns you know where to reach me. Just came from Malaysia for an emergency meeting thus was able to browse my website only now. Im one of your patients in Cebu and lives in Canada. I just wanna asked if working in call centre will aggrevate my thyroid nodules? No relation at all. Stress form working on a grave yard shift can be a factor among those with Graves Disease- a kind of toxic goiter. Hope your doing well in Canada. Thanks Lisa for sharing this note to me. This is my purpose in my medical practice… solely to help and make sure the patient will feel stronger and healthier. With your mom, I have achieved that. I was your student at CDCM from Nepal in 2003 during my 3rd year.I always liked to listen to your lectures,Especially the case solving type.. Currently I am applying for residency in USA.I would be glad if you could help me with your reference..
Hi Subhash…you may contact me via my email address. I will need to check your transcript since you may not have done your clerkship training with us. It would be pretty difficult to give a recommendation on somebody that I have not done extensive relationship based on clinical rotation which is the basis for training officers to consider. But just the same just email me your resume and Ill see what I can do. Thank you for response.I will definately send you my resume if you could send me your email address at s_lakhe@hotmail.com.I appreciate your willingness to help. Im so happy to know about your practice.we are moving to cebu soon,my member of the family is taking growth hormone name genotropin,Is there any way we can get thses medication in cebu. Thank you so much, i hope you God Bless You. No brain parenchyma abnormality detected. Mild enlargement of the anterior pituitary lobe with convex superior surface. The maximum height in midline is 13mm with convex superior surface (normal post partum range 10-12 mm). This may represent physiologically hypertrophy or adenoma. Suggest followup (6 month post partum) and / or correlation with relevant investigations. There is moderate diffuse enlargement of both lobes of thyroid. They measure right 55x27x29mms and left 52x19x26mms. Contours are smooth. Parenchyma reveals homogenous echotexture with medium level echoes. No discrete focal nodular or cystic lesion seen. she has been started on tab eltroxin 50mcg then to 100 mcg now. she also has moderate headache and some blurring of vision. what should be the next plan. whether one should go on with prolactin and cortisol levels investigations or wait. The patient has primary thyroid failure srelated to pregnancy resulting in postpartum thyroiditis. Just closely monitor her TSH FT4 because the profile of thyroiditis can result in normalization of the tests in months. However, do not check her prolactin level at this time because primary hypothyroid state can cause false elveation of your prolactin and hypertrophic changes in the pituitary. So what has been done is right…replace and treat the hypothyroid state then recheck clinically and biochemically in 3months. Do not repeat the MRI or do other investigations for now. You may elect to do antithyroid antibodies to determine her chances of getting permanent hypothyroidism. I was your patient about five years ago, and you cured my thy- roid through alternative nutrition and thyroxin. Surgery was the last resort, unlike the other doctors approach. Thank you and Bless you. You told me to see you when I’m pregnant. I am in 14th week of pregnancy and would like to schedule a visit, but I’m living in St. Louis, Missouri, USA, and happily married. Would you please recommend an associate or friend in the US that ascribes to your approach to medicine? I would appreciate any advice or information. Hi Dr. Tan. i sure you now my mother merlinda macazarte, now known as merlinda harlin, i have a few questions for you. if you don’t mind replying to my e-mail i’d like to ask them. thank you..
Hi Doc Gerry, i am the daughter of your patient Robert Uy. I was diagnosed with nodular grave’s disease last June of this year. My doctor here gave me oral treatment first with PTU but then I was having allergic reaction and change it to Methimazole. She said that radiation treatment was too risky for me at that time since my numbers were too high based from the radioactive uptaking scan done. I had blood checks every month since. My last blood test was last week and she said that I will be ready for radiation treatment by next month if I want because my numbers are lower. I am just concern if radiation treatment is a better option than surgery. Please help me. She said that radiation tx has risk of infertility though low but my family history has difficulty with having babies especially my sisters. thank you. Hi Lesley… sorry for this very late reply. I initially thought I have answered you already. Anyway…it depends on what your diasgnosis is: if it is a diffuse goiter consistent with Graves Dse…RaDIATION THERPAY IS OKAY BUT IF IT IS NODULAR AND CONSISTENT WITH pLUMMERS dSE…THEN MY RECOMMENDATION IS SURGERY. The risk of infertility with radiation is not an issue at all… if you need one then dont worry about infertility. Your sisters reason for infertility may be due to a variety of issues not at all related to thyoird problem. sir…. can i have ur email address… i believe ur expertise can help me with my problem…. to add sir, im researching about my issue on the net. i found out that only endocrinologist like u can help me with it. its been going for several years already… i hope i could tell u the situation fully in an email…. and hope to see u soon in person. 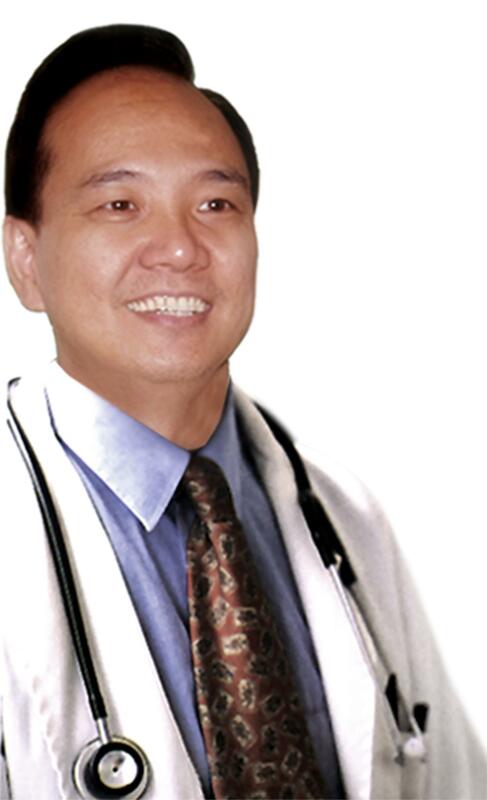 im so happy upon seeing in google that there is an endocrinologist based here in cebu…. jer… please call my office for an appointment. 412-4803. Unfortunately I dont handle cases via the net or email. Galing galing! Idol! Nice website doc! Wow! I have to block my entire weekend to check everything here! Nice website! hi doctor, im currently in my 3rd year in nursing and we’ll be having our thesis. we chose something related to type 1 diabetes among pediatric clients ages 18 y/o and below. what is the current status of DM type 1 in our country? Thanks Henry…feel free to see me anytime you need help. To Patricia… I have no data for type 1 in pediatrics. Please contact our peds endo guy Dr John Uy in Chong Hua. Hope he can help you. All I can say Dr. Gerry Tan the best doctor in town.Thanks for saving my life 3 years ago. Well, that’s the trade-off for using a free web-host. In the marquee, you will find some items that you and your son to take a look as preparation for his First Holy Communion. Nice web-site!! And very informative. Good evening.I just want to let you know,that if i may have to choose and pick a disease,i would chose[obvious ba? ]Reading all the exchanges here of commentaries,i am very proud to have spent my childhood with you for three years. I know your time is very,very precious,no need to respond this. i really enjoyed browsing and reading some articles in your website doctor, this one is really marvelous!! We are really proud to have you as an active staff consultant in the department of Internal Medicine. DR.GH Tan is really one of a kind and trully a world-class mentor. Thanks for sharing with us your knowledge in this field. Thanks James for that wonderful comment. Hi Doc, good evening. Mag-ask lang me if sa monday magpacheck-up ako sa clinic nyo din mag decide ako na magaopera that day, diretso ba ako ma-ooperahan? Doc is your clinic open tommorrow? Cause I’ll might call tommorrow. I am an endocrinologist in Missouri, and an AACE member. I have a question rearding AACE chapters. Can you please respond to my e-mail address? hi doc..its me KC,your patient from iligan city! d1 your calling as “tia” …hehe;o) by the way,i have 2 good news to share. first, i graduated already! whoo-hooo!! second, i have a boyfriend now (shhhhhhhhh kay mama). just kidding! the family knew it already. yahooooo. tenx doc! hahaha..
anyhow,i have some concerns. The return check-up you scheduled for me will be on april28. However, next sunday april 19 ’til may 29 will be the start of my review. Can i just visit you again after the board exam?? Or can just have the lab tests here in iligan city then i will just send you the results through this website or your email perhaps? Lastly, will i still continue to take the replacement as prescribed or taper the dose again?? KC AM IN Barcelona lounge now enroute to `mallorca Spain. ~Kindly call me when `i get back to work on April 22. Okay? what is the model of your camera bag? hehehe…its a Tamrac Digital Knapsack bag pero am not sure what model ang bag Jan.
2Tgw9Y Hello! I’m Samuel Smith, i’m from Switqerland i and find your site really brilliant! I’m in the U.S. , this question is kinda dumb but i’ll ask you anyway. Will you see patients just for annual check up with no known endocrine problems? I have a mom who needs to see an internist on regular basis but can’t find a good one. I would like to know if i Tall hypoechoic Thyroid Nodule is a sign of thyroid cancer? should I have my thyroid removed? I am writing to you about my father’s condition. He was diagosed with diabetes mellitus last November 2007. He is currently taking medications from his doctor. Before he has high levels of bad cholesterol and fortunately it is now okey. Doc Gerry is there any alternative medicines or herbal medicines we could ask for his illness? and when can i possibly get a schedule from you so that we could personally ask you about this problem. i hope doc gerry that you could help me in finding the most suitable medications, supplements and diet with regards to diabetes. To Kyra..am so sorry to have missed your comment and question. Better still to have your neck palpated by an specialist. There no difinite signs of malignancy based on ultrasound. Doing a fine needle aspiration biopsy of the said nodules is still the best way to clinically diagnose if these nodules are bening or malignant. To Myra…I dont recommend any herbal supplements. Please check my post about this. For schedule pruposes it is better if you get an appointment so your father doesnt need to wait for his turn. You may contact my secretay at 412-4803. Just wanted to say thanks for seeing me a couple of weeks ago and sorry I missed the follow up last Wednesday, my last week in Cebu was very hetic. I got the blood work back and my A1c was 8.4, which was no surprise given my own testing. Galvus has really improved my peak levels with lunch +2hr < 8mmol (was around 14mmol before) and dinner +2hr < 6mmol ( was around12). I dropped 1 tablet of Gliclazide ( was 120mg now 90mg). I guess I need to see a doc in Sweden as my HDL has dropped to 0.5 from 1.6 last nov. (Crestor 10mg?) LDL is ok and so is chlorestrol. I noticed that my neck is bulging and that i assumed this would be goiter. I will be going to your office by Thursday since when i called your secretary, your wednesday office will only be for appointments. I have been searching the web for credible and down to earth doctors who can help me but it is only you who fits my qualifications. I ADMIRE YOU DOC for being so helpful to your patients and I am sure you can help me too. To Anthony…Thanks for your very nice comments Anthony. Be sure to visit me back when you visit our beautiful country again. To Debbie…Yes Debbie…everyone is welcome. problem is by appointment ako so you may have to come on a first come first serve basis but will surely accomondate all if I can. Yes, I am strict on my Wed and Sat becuase they are my half day work schedules so only by appointments on those days. C u! Thanks a lot Ill be seeing you on Thursday then. I am thankful a doctor like you is here in Cebu. God bless doc. Dear Dr. Tan, a few years ago, I began to have all the symptoms of hypothyroidism. I was chronically fatigued, dry skin, loss of hair, depression, high prolactin levels, anxiety, menstrual problems, weight gain, and more. Despite a small goiter(not really visible, but can be felt and confirmed by ultrasound), thyroid antibodies, family history of hypothyroidism, and all the above symptoms, the endocrinologist would not treat me, because my TSH fluctuated between 4.0 and 7.0. I was usually around 5.0, just on the border. I felt absolutely terrible DAILY! I recently went for a new thyroid ultrasound(3 years since the first), and was told that I now have a hypoechoic nodule that is 8mm in size. Is that fast growth for three years? Or is 8mm pretty small? Can untreated hashimoto’s cause a hypoechoic nodule? Should I insist that a biopsy be done? Do nodules, goiters, or thyroid antibodies ever shrink or disappear? Ironically, many of my symptoms have improved or disappeared(including high prolactin levels), without medication, and I now seem to have more energy? So I’m surprised that a nodule was found. im one of your patients in cebu. but havent been able to visit you for the last 7months coz am now working here in manila. am applying for a work in bahamas, and one of the requirements is a medical certificate. i had my physical examination here in manila and the doctor found out about my thyroid problem. he wants me to have a certification from you (being my physician) stating that my thyroid problem is not toxic and its not a hinder to any work that i will have. Doc, can you pls help me with this? hoping for your favorable reply…. JUst Me… you may just have a thyroid incidetnaloma which does not really mean anything. The problem with the new imaging techniques we have is that they so sensitivie to be able to diagnose the smallest of the small nodules in our thyroid gland. Menaing…these nodules may remain as that until your death! Especially if they are not clinically palpable. I will not do anything about it except periodic palpation. Hi Dr. Tan, thank you for this response. If thyroid incidetnaloma is the problem, does that mean the other concerns described in my previous message, seperate from the nodule, such as thyroid antibodies, goiter, etc, COULD eventually all decrease or disappear in time? Are there some people diagnosed with Hashimoto’s Disease, who have completely been cured, or had all symptoms return to normal? Opps…if you have antibodies then the story is different. The antibodies will eventually cause destruction of the thyroid tissue eventually making you completely hypothyroid. Now with a goiter and (+) antibodies, and you feel miseable… then I would start you on treatment. hi dr. tan! i’m mai dumana a writer for dr. joy fontanilla’s magazine DiabetEASE…we’re currently working on our october-november issue and our cover story would be on stem cell therapies/pancreatic islet cell transplants. and dr. joy wanted po sana a representative from AACE. i was hoping you could entertain some questions through e-mail with regards to the issue. hoping po for your positive response i left po my e-mail address in this reply. thank you very much dr.tan!! Hello doc gerry! I know its late but thank you very much! Ur the best doc… godbless u! Hi my friend Jinky…nice to hear from you. Hope you are well at your end too. Hi Doc Gerry! boy Gomez here. Here looking forward that should you find the product effective to take am pleased of inviting you to venture the business. More power and God bless you and your family. wow! i’m impressed with your website. very interesting and educational too. My name is Woomera. I am hoping that someone from your office will contact me personally via e-mail regarding the future treatment of my father. He is moving back home and will be seeking further treatment there for his hyperthyroidism. We have received recommendation from a specialist here of future treatment. Your name was highly recommeded by a friend of mine. I am hoping to communicate with your our your staff. Hi woomera… the best thing is for somebody in your area here in Cebu to call Ivy my nurse to schedule an appointment once your father gets here. The appointment schedules work this way: call the 1st day of each month for the next months 1 to 15 appointment; and call on the 16th day of each month for the next months 16-30 appointments. example: call Oct 1 for Nov 1-15 appointment; then call Oct 16 for Nov 16 to 30 appointments. You have a lot of ideas that must be heard by all filipinos. Sad To say…Looking at your monthly visitors. Only 2.3% is from the Philippines. Sana mabasa ito lahat ng mga pinoy. I will be in Cebu the first two weeks in Feb and am looking for an acupuncturist who may be able to relieve some of my back pain from severe spinal stenosis. Is this a condition you have treated with any success or is there someone you could refer me to you trust? hi sir would just like to ask what should i expect from missing to take thyrax 75g for a month now? should i just resume medication? i’m advised by my endo to take it for 8 months and i’m now on my 2nd month before the missing started. please advise. great site! thanks! Depends on why you are taking thyrax…for suppression or replacement. JUst mke sure in the future not to stop any drug uless you are told to do so. You may safely resume it now! hi sir would like to ask how much would it take for a 42 yrs. old woman to take thyroidectomy. Consider the lowest price you can give sir. She lives at San Miguel, Zamboanga del Sur and I would give her the money needed for this operation. I take this opportunity to help my wife for her mother inspite of limited income from mine. I’m thankful if you can help. Salamat. I was your student at cebu doctors university college of medicine in 2004. I was not able to attend ur lectures regularly because u had ur class begin 30 mins ahead of scheduled time, say 7am. But ur lectures on endo were great. Ur website is soo cool. Im gonna frequent this site. Dear Dr. Tan, I was so impressed with your credentials. I am a US balikbayan and is planning to relocate here in Manila. I wish you were here. would you be able to recommend to me a good endo practicing here in Makati or at the Asian Hospital? Would appreciate your sending me a reply to my email address. GH will no longer work once the bones have fused so you’re pretty late. Height and Thyroid are related if one has an underactive thyroid gland while growing up but not now. Hi! Good P.M. Doc. Gerry. My quiry to you is simple, does pythochemicals which are present in some ancient fruits like, mangosteen, goji, acai, blackberry, cranberry, grapeseed, green tea and the like can cure any deceases including cancers, uti, asthma, high blood, hearth ailments and other deceases. thank you. Hi Doc Gerry! I was browsing the net researching on a doctor who specializes in endocrinology and I found your site…been calling your landline but its not operational..By the way, Im from Gatchie and Partners Inc., the PR firm of The French Baker. Our client will have a product launch on February 27, 2009 at the Makati Shangrila Hotel. The new product is 100% Whole Grain Bread. In line with this, we are looking for a doctor/resource speaker who can talk about Glycemic Index and its effect on common dangerous diseases like diabetes, obesity and circulatory problems. I’ve already talked with Dr. Augusto Litonjua who is considered the father of endocrinology in the country. However, we find his 100k fee too costly. Would you kindly recommend someone who’s not that too costly and is still credible enough to talk about the topics I mentioned above? Or can you be that speaker? Thanks. If your interested, here are my contact details: office: 3320893/4101735, cell. : 09103744813, e-mails: paoloangelocf@yahoo.com/paoloangelocf@gmail.com. Thanks and good day! hi doc gerry! i’m 27 years old and was diagnosed with hyperthyroidism last sept,2008. my problem is that i’m still breastfeeding my 15month old daughter so i can’t start on any medications.he prescribed mo a ptu, 9tabs a day so it’s a very high dose. so i’am very frustrated na because i can’t wean my baby and i can’t start taking any meds. so last feb, i went to another endo, so i said my dilemma to him. he changed my meds from ptu to tapdin and gave me parlodel to stop me from lactating. because im still nurssing, im afraid all the meds i’m taking will excrete in my breastmilk.so i took up tapdin for a week and i’m taking parlodel for another week, is it okay lang po kaya na this will be the set up? thank you po! more power!!! Marge…if only I can see you the better. It is so difficult to give you my recommendation. Breastfeed your baby – thats the best thing you can do to your child. Intake of PTU has not been shown to affect the thyroid function of the newborn as long one dose not use high dose. I am against stopping your nursing responsibility. But again it is your choice and your endos decision what to do with your drugs. i am naj of marawi city,i have this thyroid problem that bothers me too much.i know that i have often feel the symptoms of thyroid enlargement because on the right side of my thyroid there is an abnormality that grows or the shape is not the same compare to the leftside of my thyroid.what shall i do?i am still a working student.can u advise me to drink thyroid vitamins? Can u suggest what shall i take to cure this.please help me sir.because,it interrupts my sleeping time ,low memory,hearing lapse,headache,backpain..these are the few of many signs that i have a thyroid disorder. First you need to see a specialist to help you diagnose your problem if at all, the symptoms are related to thryoid or not. This requires proper evaluation thru hisoptry and physical exam. Ok? Im a fourth year high school student, but with a medical training background. Im also a high school medical officer in our C.A.T. training. I do have some requests and questions…. do you go on medical missions? Do you have any medical activities suited for my age and level? I have plans on becoming a doctor also. Aside from that, I really love this website. I found many answers and Im currently treating family members with the information that have been posted. Im oly a first-aider by the way. I really do hope to hear from you very soon. Thank you very much and God bLess! Hi Lanz… I am so interested to meet you. You seem so determined to become a doctor and am happy my website is helping you to decide more eagerly to become one. As a doctor and professor, my aim is to treat and inspire. If I have inspired one inidvidual to become a doctor in the fututre, I have finished my mission. Hi Doc. Im Ferdinand and im now in Australia doing post graduate studies in IT. Doc, can I ask you a favor. I have an application for financial assistance in our school but one of the requirements they need is a certification that I was suffering from Hyper-Thyroidism before. If its not too much Doc, kindly email me a medical certificate proving that I did suffered from that illness for the past year. Here is my email address ferdi_irig@yahoo.com. Thank you so much, more power and God bless. hello doc gerry, i am a 20 yr old female from dumaguete city. i was diagnosed with toxic goier(cystic nodule) a year ago. to estabilized the functioning of my thyroid,i am taking strumazol and inderal to prevent palpitations as prescribed by my doctor.i am also having a follow-up check-up every 3 months. i am now feeling a little better than before. but lately, just this month my ultrasound shows an increase in size and number of the nodules found in my thyroid.how ever my my TSH lab exems were normal. i am planning to visit cebu within this month to have a chek-up because i want this thing to be gone already. i am a nursing student and i want to be well so i can concentrate and do good in my studies as well in my future carrer.please help me. i hope i can be able to contct you doc and schedule for a check-up with. thank you. i hope you can reply with my message. i really need help. i’m glad i found your website doc. thank you. Hi Jesson…. please see my appointment schedule but if you want to see me asap… you can come in on a first come first served basis: 7to 9:30 AM only kasi by 10AM may appointments na. hi doc gerry!i am 26 yrs. old, diagnosed of having a nodule thyroid..due to this, i have to take thyroxin once a day..my problem is i am breastfeeding my 2 months old baby..i am worried that my baby might be affected of the medicine i take..pls. help me if i shld continue breastfeeding or not..thanks. Grace… any medication can be secreted in the breast milk…please ask your doctor if you can stop it while you are breastfeeding. However of the thyroxin is given for hypothyroidism..then you have to continue on it BUT if you are taking it to suppress a goiter then stop it while you are breastfeeding. Hi Don… please call my secretary for instructions on what to do. We see pts by appointments but other doctors dont have appointments and you can see them as walk in pts. Do you have a clinic in Manila? I found your website very interesting. The right lobe measures 5.0 x 1.8 x 1.7 cm and the left lobe measures 4.6 x 1.8 x 1.2 cm. There is a 0.64 cm hypoechoic nodule in the right lobe. The left lobe parenchyma is homogenous. In the isthmus, extending to the right, there is a 1.6 x 0.7 cm predominantly cystic nodule. i was calling your clinic 3 times to reach you because its in your instruction to call you up before the date of my schedule this June 10, 2009 for radiation but your secretary told me that there’s no need to call you up, just see you at the clinic on my schedule…by the way doc, do you allow me for tooth extraction? because my dentist is asking for a clearance before doing so. hoping for your reply soon as possible. Good day! My dad is one of your patients. He had Grave’s disease and underwent radiation therapy as per your advice. He never had any complaints after he had it done. You’ve really changed his life and we can never thank you enough. Now, I have a similar problem. I’m 27 and I’ve been on Neomercazole for almost 2 years now. Initially, I wanted to get your opinion but due to the long line of patients waiting  I decided to seek medical attention elsewhere which wasn’t such a good idea because it seems like I’m not improving at all. Although I’ve gained some weight my eyes are still bulging and my neck is still the same size as the first time I have it checked. This really concerns me. My question is, is it possible for me to undergo radiation therapy like my father did or is there like a specific requirement before I have it done probably a near normal level of thyroid hormone or something. Your response will be greatly appreciated. I recently suffered from crying spells and really low moods with symptoms of hypothyroidism. My hypothyroidism has since improved but still feel the blues…May I take antidpressants with Euthyrox? hi doc gerry, good afternoon.I am Zesa, 21 yrs.old from mandaue city. I believe you can help me also just like other people, My health problem goes like this,. Last March 2008 i was diagnosed by my ENT having GERD. She told me to take kremil-s straight 1 week (3x a day). after 4 days,i felt nothing as if i was cured.I was very happy becoz i dont feel anything. Last November 2008 i bore a baby boy after 2 mos. i took a pill for us to have a family planning., and then, i eat spicy foods,etc. which is not allowed for me,. last march i felt something again in my throat I taught its a side effect of the pill so i stop. and then i go also to ENT, he found nothing and told me to avoid again spicy foods and also not to think problems.Then i took again kremil-s and motilium, again i felt im ok seems i was cured. Then May 2009, i eat again spicy foods until now i felt something in my throat. I already took Kremil-S but still sometimes i can really feel somthing in my throat, I was very worried doc coz i dont know what is this, ITs not hurt and annoying,I can swallow even if it is a hard food, it seems psychological only.Hope you can help me with this, I really believe in you becoz i am your avid reader of this site. May god bless you and showers u more blessings and good health. More power to you doc. Jez…agree that this maybe psychological esp you have been seen by an ENT. If you have time…let me see you to make sure. hi doc gerry good morning. thank you so much for the response. Yes doc if i have time then i will call your office for a schedule of check up. I will be very glad if you have available time for me also. God bless you and your family…. good day doc…i have a labaratory test here in dubai.this is the result.My TSH- 39.69 flag-h reference range-.27-4.20 uIU/mL and FT4 10.1 flag l reference range 12.0-22.0 pmol/L. Elevated serum concentrations of antibodies against Throglobulin are found in su autoimmunity –based thyroditis.High concentrations of anti-TG together with anti indicative of chronic lymphocytic-intiltrative thyroiditis(hashimoto’s disease)/frequency f thyroglobulin antibodies is approx.70-80% is subjects with autoimmune-thyroiditis,incuding hashimoto’s disease and approx.30% in individual grave’s disease. A negative result does not definitely rule out the presence of an autoimmune of level of the antibody titer dos not correlate with te clinical activity of the titers that are elevated initially can become negative if the disease persisits for period of time or if remission occurs. Anti-TPO 600.o H -0-34 IU/mL. Claire… just like what you know its an autoimmune disase. Let me see you and lets check on your thyroid and I can explain to you in detail when you have the time. Hi doc.Your secretary told us you have open schedule on Aug 16 to 30.She doesn’t know if you have a clinic.When are we going to call your clinic because i schedule my flight on aug 24.thanz doc..
Hi Claire… Yes I have a scheduled flight to Czech Republic but depends if I will be given a visa thats why it is still an open schedule meaning pls feel free to call July 30 for update. I just attended the 3rd AACE (1st Joint Meeting) in Mactan Cebu.. congratulations,, it’s been a success. My 1st time to attend. I’m so surprised and happy seeing other people esp like you, a very busy top endocrinologist in the phil spending time in exercising and maintaining weight despite a very hectic schedule. I’ve been looking at you then and wondering how did you attain your present weight. Congratulations!!! Hi doc good evenining im Mylene from Manila I just wanna ask why is’t that when I got diZzy sometimes I could no longer control my movement like before when I was walking on the mall I just suddenly felt so dizzy and light headed and could no longer walk straight. and there were also times when I stare at something my head aches and sometime I also got blurd vision but it’s not often. is’t only beacuse of my eyes? You’re such a great speaker… I’m dreaming to be one but don’t have such amazing profile, even just in my locality. Do I need to enrol to any public speaking course? How would you handle those who are questioning just to put you in a hot oven???? Hi Nilda..hahaha. part sa training namin at Mayo. As fellows we have Thursday and Friday conference handled by fellows. We have a training course in speaking and lecturing at Mayo as fellows plus of course the experiences one learns the more one gives a talk help a lot. Thanks for your comments. i read here about you, may i know where is your clinic in cebu city, if you’ve still lived here, coz my sister has toxic goiter, we’ve visit some doctors here in cebu whose one of specialist of this case but, we are not satisfy the result…we followed all recita they gave us, and we spent a lot money of this but still some was not effective, and now we we’re desperate to look another doctor who so much can help us, f you’re not here in cebu, could you recommend us a doctor who live in cebu that you think, can help us. hope you rply me in my e-mail. hi doc! i find ur website interesting. i’d undergone total thyroidectomy last week and my doctor advised me to take 100 mcg of Thyrax. Is this dosage appropriate? how will i know what dose is right for me? tnx in advance. God bless! Carol…you need a repeat TSH FT4 to confrim if the dose is right for you. strands of hair. This makes me really depressed. cost me? Please let me know. Hi Anne, hair loss is only transient. Once your thyroid status becomes normal, your hair will grow back. The question of RAI vs surgery depends on the kind of toxic goiter you have. I don’t want to undergo any operation doc. I have a phobia with anesthesia. I don’t like the feeling when it starts blocking my senses. Can I choose between surgery and RAI? Or is it always your call? I hope to hear from you doc. I will schedule appointments again with you. It’s nice hearing from you. I’m glad to know that this is just transient. In regards to my case doc, i think is what they call “Grave’s disease”. I am Kats, a 3rd year medical student from ateneo med school. As part of our curriculum, we have medical electives, wherein we are given the option to explore any field we want to pursue in the future. Ever since I started Medicine, I was already sure of the field I want to study more, that is, Endocrinology, since I have a strong family history of diabetes and recently, my lolo died of it. Anyway, I was googling for endocrinology experts in the country, and I chanced upon your site, and I was amazed by it! I am trying to find US hospitals/schools which can accomodate observership for April 2009, but I am having a hard time. It would be a great help if you can recommend some places or maybe there in Cebu, with you 🙂 I have never been there anyways. Thanks doc for your advice. And more power! With your indulgence, I would just like to ask if there is a form of treatment such as growth hormones, HGH, etc. that could help me with my “problem.” As to what this problem is, I have thought that it would be prudent for me not to write about it here in your website as the matter is sensitive and may cause disrespect. For this reason, I humbly request to be given a chance to ask my question privately. Should I get a positive response to my question, I would fly to Cebu from Manila in a heartbeat and appear at your office for consultation. Thank you very very much Sir Doc Gerry. hello doc gerry, im clare 27 yo, callcenter agent for almost 5yrs now. Was quite healthy then until last summer of 2007. from 140 lbs, I gained an extra 60lbs in just 2yrs. Perhaps with the need for food at night to keep myself awake while at work. Diagnosed with hypokalemia and suffered seizures with a blood clot that was seen in my CT scan. Numbness either in the left side of my body or waist down. Also diagnosed with rheumatic heart dse and MVP and is suffering from excruciating pain from costochondritis. Was even diagnosed with juvenile stroke. Since then, ive been trying to lose weight to avoid repeat of any attacks. I was on depakote and aspirin for about 6months to prevent seizures. And I read long term use of depakote can alter the liver function. Is this perhaps why I dont see any result from my diet and exercise? ( I only do several rounds of walking because of my heart problems ) what should I do> pls help. thanks! Clare…I think it would be best if you us…any endocrinologist in your area can hlep you. ask ko lang po meron ako hypothyrodism.nagunderago ng radio active last 2 months pero wala changes.he ask me to drink propylthiouracil 1 tablet twice a day.constipate po ako and konti lang nakkain ko feeling ko busog nako.then maputla ako.please dok help me do i need to continue the medicine or ask other opinion. Girlie…please have yourself follow up regularly until your doctor tells you na your toxic goiter has resolved or undergone remission. Cant comment on your question until I have seen all your results so better still ask your doctor. the thyroid gland is not enlarged. it has smooth contour and homogenous parenchymal echodensity. no abnormal solid cystic enhoes seen. Mary…please see me under the first come first served basis. ok po, pero doc jerry i have one bulging eye, pwede po b sya bumalik sa normal? Efraim…please see a doctor wherever you are. if you are not able to finish the course of therapy then you are assured of a reccurrence. just read your message now, i can’t be able to have the first come first served basis because i’m not in the philippines anymore, my flight was rebooked instead of 1st wek of feb….is it possible to take the dosage of my tapdin 5 mg everyday like you 1st instructed me?.thank you doc. Doc im so glad i found your website. My appointment should be this month. I wasnt able to call for an appointment coz we we’re so busy last month for our wedding and forgot about it. Now I’m pregnant, is it okay to continue my medicine doc? I’ll call again on the 16th of this month. Wonderful Morning, Wonderful post. fake, specially from the major news corperations with the big slants to the left or right. Did you see last nights O’Rielly factor? haha, that was rediculous! Sorry, I’m rambling along over again. Have a Good 1! Heya. Not sure if anyone told you this but your website looks kinda peculiar in my browser.. maybe several code in your design is wrong. . I�m not sure if everybody is buying this identical problem when browsing your site? Oh yeah I am using Opera as my web browser so almost certainly thats the reason why. Thought it would be excellent to let you know just in case there is really an error lol. Thanks for the excellent articles on your website btw.. I love what you have so far and will be coming back! Hello Dr Tan, I live in Australia and my Pituatary gland was removed 12 years ago. The only hormone replacement the Endocrinologists gave me here were Estrogen, cortisone and Thyroxine. 12 years on and I now have Sarcopenia. Are you able to treat me for this or are you able to refer me to someone who can? I can arrange to fly to Phil. and stay there for treatment at your convenience. My Endocrinologist here has flatly refused to treat my Sarcopenia, brushing it off as “Aging”! I am only 42 years for goodness sake! I hope you can help. doc i was really impressed after going through your cv and your achievement so far in the upliftment of humanity health wise. in fact you’re a role model by miles ahead. sir i am a nigerian and a qualified medical laboratory scientist, i applied to cebu doctor university for the june MD programme and they said i would need to book an appointment with the secretary for telephone interview. please can you direct me on how to contact the secretary for the interview so that i will be able to not only meet some body like you but will also be able to aspire to an exalted position like you. Would it be ok if I point to this, from my web site? I’m in need of help to round up as many snippets of good info as I can. Wow! Thank you! I often desired to write in my web site something like that. Can I take part of one’s post to my weblog? Hi Doc! I just want to ask why am i get so easily irritated nowadays? i am continuing tapdin 5mg two tabs. every 8 hrs a day (6am, 2pm and 10pm but every morning i miss 2 tabs.) I am gaining weight now but my eyes are still bulging and needed eye glasses.my concern is i am easily get irritated.there’s situation that i am overreacting, sometimes thinking it’s not me.is there any relation to my hyperthyroid? Hi Doc Gerry, I’ve been following your site since last year but I haven’t got the chance to interact. I am one of you patients having problem with hyperthyroidism. I’ve been taking medicines: 4 tapdins daily and 1 duranol for 2 months now. But I’m worried it will do damage to the liver instead. I’m in Oman right now. As soon as I come back to the Philippines, I will surely visit your office, but right now, I have to know the best way to reliev such worry. Can you please help me. Thank you very much. good day doc! i am 22 yrs old and i am prone to thyroid issues due to heredity. i just had a thyroid panel and here are my results. also, i haven’t been gaining weight. i am 5’5″ in height but my weight is 40 kg. I just want to update you reg a patient who was referred to you by Al de Villa – Jaymia Asuncion (my sis in law). She consulted you 2 years ago and your impression was Cushing’s. She was seen by other endocrinologists who were not so convinced but finally she was seen by my classmate Christy Yao (Medical City) who recommended removal of her pituitary adenoma. I just want to update you that 2weeks ago she underwent surgery under Dr Gap Legaspi in PGH. So far, her diabetes and HPN are improving. Your diagnosis proved to be correct. Thank you very much, Dr Tan. I am so thankful upon searching I found your very informative website of yours. At last I can have an expert whom I can learn and live life better. By the way, I underwent total thyroidectomy last March 2006 with Doctor Dela Serna as my surgeon and other assistant surgeons, maybe you were one of them at Cebu Doctors at Capitol. My case was the worst according to them, but I am so grateful she saved my life. If you could mention me to her, maybe she could still remember me. I am now fine and have a job in Mandaue and hoping to land as a teacher in public school. One year after my surgery, I got married and now I am wondering if I can still be able to be pregnant safely without having complication for my baby and for me. What do you think doc? sometimes i palpitate, is that a symptom of thyroid disorder? I am a lawyer in australia and have a young relative in sindangan that needs thyroid operation. She is below thirty and has three children and has a significant unsightly growth that is starting to interfere with her breathing. 1. Can the operation be done in mindanao or does she have to come to cebu. 2. what are the costs in local money. 3. I would like to help her and can see that you know what you are doing. Doc good day. it’s me arn-arn your patient. Doc is it possible na ang euthyroxin mka-allergy? doc nangatol ko. help!!! 3 days na. magstart ang katol sa ako neck then all over my body na. doc please help!!! Great website you have here! I am Anne of Citigym, Waterfront.. Dr. Henry Chua advised that you asked for me to email you our proposal. He forwarded your message but was unable to retrieve your e-add.May I please ask for it? I’d like to ask if Carbimazole (neo mercazole) a good replacement for Methimazole-Tapdin? I’m taking 4 tablets right now but I’m afraid there will be no available methimazole here in Middle East. Can you please help me? I was once your patient in Chonghua Hospital. Hi Dr. Tan. I am the mother of CHIARA MAE ALCANTARA. I wish to thank you for faithfully and religiously treating Chiara Mae since May 2004. I am writing you to tell you that after Chiara Mae’s check up with you when we asked for your advice whether she has to be operated by Dr. Yong you showed us different scenarios that we wanted to say No to the suggested operation. When we saw Dr. Yong he said that the left eye has already glaucoma and might not be saved though he has given Chiara Mae an eyedrop for her left eye with glaucoma to try to relieve the pain. He said we need to save the right eye, wherein the cornea has thinned otherwise the right eye will also become blind. We told him about the after operation problem. He told us that they now have a new method of treatment that can heal the eyes after one day and in order that she can’t touch her eyes she has to use googles to be provided by them for one week and then she will be using eyedrops after that for a certain period. We seem to be convinced with his explanation but we want to hear your side. What do you say Doc? Hi Doc Gerry, about the waist twisting disc, how long should I exercise on it? I wanna say thank you for treating my thyroid cyst way back year 2000-2003. You are such a brilliant and amazing Doctor. I wanna know does Kremil S safe to pregnancy woman? Good morning.I would say thanks for giving one of my crew,Mr.Sulague a prioritized hand when they visited your clinic.I only happened to have chance to say it this time for i failed to say it in person,because you are always out of time and chance for us to meet you.Hopefully,naa ka sa negros in Nov.1. Looking forward for your advise Doc. Thank you and more power! My grandmother has been taking metformin (glumet) and gliclazide (glubitor) for 12 years now. She consulted and the results showed high serum creatinine. the doctor then requested for 24 hour urine and showed low creatinine. she told us that my grandmother’s kidneys already have problems thus she has to stop taking those medications and start with insulin. We consulted another doctor but this time, serum crea was normal so she was just asked to continue previous medications. We are quite confused on whom to follow. I would just like to ask of any possible reasons why there has been discrepancy on the results and if there would be any difference whether blood was taken while my grandmother was on fasting or nonfasting. May i ask also for your advice on how to settle the confusion. Thank you very much for your time. ; TF1 thyroid function test panel 1 free thyroxine 12 pmol/L (9-20) thyroid stimulating hormone(TSH)1.2 mIU/L(0.45-4.5. Looking forward for your advise Doc… Thank you..
Im jeany from Butuan City.i just wanna share to you my health problem. hoping to enlighten my mind. I discover that i have a goiter since june 2008.it started to a small one but in dec. 2009 i get pregnant. and it become bigger and bigger until i deliver my child on Aug. 2010. Now im worry if it will be cure by medicine or it need an operation. Im planing to go in Cebu to have my check up..What hospital could cater my needs? for my cough – Levox 750 mg/5 days, 1 tab a day, for my allergy (cause of my coughing)aerius 5mg/6 days,3X a day and a nasal spray Fluticasone furoate-avamys nasal spray. for my diabetes – Galvusmet(r) 50mg/850mg- 100tabs once a day. Humamet 850mg-200tabs 2X a day. My Lab test results for FBS – 127.73mg/dl; HbAlc 6.20%; 2H P-Prandial Blood Sugar 153.82mg/dl. Lab test was taken last 12/22/10. Am I taking the right medicine dose? If yes, is there any generic med that is much cheaper than the prescribed med? Right now I don’t have a work that could augment my med expenses. Doc, is it all right to be a member of an association for diabetic patients? do we have one here in Cebu? Thank you very much doc….. Daghan kaayong salamat. i was diagnosed with hyperthyroidism last december, i wish to visit your office one of these days for check-up, may i know your location in cebu doc gerry? Hi Jason… look for Cebu Doctors Hospital…and the nfo counter should direct you to my office. Please make sure you call ahead for appointment..check this website for clinic numbers. My daughter is 17 years old and has fully developed breasts and hips. However she is only 4’9″ and weighs about 85 lbs. She had her first menstruation at age 10 and had a growth spurt until 13 yrs old. I myself is short at 5’3″ and my wife is 5’1″. Can taking HGH increase her height? Please advise how we can go about with this. Can you recommend clinics in Manila? I am a call center rep here in Cebu.. I would like to ask for your office number so I can make an appointment. My officemates noticed the enlargement of my left neck and they called it Goiter. Im worried about it. I am a mother and I just gave birth last Oct 2010. Gud mownin doc, pwd ko mag.ask doc curios lang ko gud. Doc ang medicine nga BRANDED ug GENERIC same lang ba ang effect kung imong imnon or naa’y dakong kalainan? Pwd nimo e.clarify doc. Hi Krizzy… the problem with generics is the way they are made and manufactured becuase factories are sprouting and sources are so many nobody can trace the roots and therfore prone to abuse and poor safety practice. Impurities arising form the way a product is made can make a big difference in terms of liver and kidney toxicty. So If i get sick… ill stick to the brand that i know am comfortable with and i know is proven to work becuase it was the product used during research…. hello doc i am stranger in cebu city i found your website,pa check up sana ako sa yo about my biabetes at hindi nag normal ang sugar ko sa mga reseta ko dito sa ami, my family friend who is a doctor now based in USA advise me to have an A1C,daratng kami sa monday morning doc hope ma check mo agad ako kasi wala kaming matuluyan dyan, pwede makahingi number ng secretary at mag pa book na ako agad ngayon. doc, i would like to ask your advise. im having my fellowship here at nkti. Can i ask your opinion regarding our patient here in opd. She has mesangial GN and on prolonged steroid therapy for 5 years. She had avascular necrosis of her hip thus needing hip replacement. she is currently on prednisone 5 mg od for the last 2 years. Question is … do i need to give steroids pre-op and post op for her? or her pred dose is low enough that it does not warrant giving steroids? … SHe will be undergoing hip replacement anytime this month.. can i ask your expert opinion on this matter? thanks a lot! thanks a lot , doc! you’re the best! My sister Melcha has an appt. with you next week, but I haven’t been able to get a hold of your office staff to obtain some information. Please post me your office phone# with a contact representative. Do you hold clinic in Manila. My mom’s goiter was removed when she was 21 yrs old yet. She’s 85 years old now. She’s on maintenance. I think the medicine is leboxin. We had her thyroid tests last week at NKI but I can’t find a doctor that specializes in thyroid disease. Please help. I was recently diagnosed with suspicious papillary carcinoma.I have nodules in my right thyroid.My doctor in Manila advised me to do Total Thyroidectomy Surgery as soon as possible.Wala na po bang ibang treatment other than surgery?I’m a nurse and about to leave the country sana for overseas work but na-pending medical ko.I’m afraid of losing my career so I searched for the best Endocrinologist and luckily found you.I want to have second opinion with you Doc,but when I called your clinic your secretary told me that your going to US this week.When po kayo available?Manggagaling pa po ako ng Leyte.Pls update me your schedule Doc.Thank you very much. hello doc,i just want to know what are the most common diseases that a call center agent can have.I’ve been working in this industry for 4 years already. just read the topic! Awesome job. just read the thread! great job. hey there and thank you for your info – I have definitely picked up anything new from right here. I did however expertise several technical issues using this web site, since I experienced to reload the web site a lot of times previous to I could get it to load properly. I had been wondering if your web host is OK? Not that I’m complaining, but sluggish loading instances times will often affect your placement in google and could damage your high quality score if advertising and marketing with Adwords. Well I’m adding this RSS to my email and could look out for a lot more of your respective fascinating content. Make sure you update this again soon..
where you located and your phone NO.? I was ultrasound last march and this was the result. I want to do some medical treatment but i am working in hongkong right now and my employer didn’t know about it. Do you clinic in hongkong? i want to consult on you on this matter. Both lobes are enlarged. The right lobe measures 4.4×2.1×1.8 cm. There is a hypoechoic mass noted at the lower poles measuring .7x.5cm. A complex mass is noted at the mid portion measuring .6x.4cm. The left lobe measures 4.4×1.9×1.7cm. There is a complex mass noted at the lower pole measuring .8x.6cm. By the way to those who are in HONGKONG having the same problem with me,can you help me to refer the location to have a proper examination regarding this matter…thanks a lot for this website its really helpful. I was diagnosed of Nodular toxic goiter last three years ago. Currently i am taking strumazol and inderal for maintenance. I hope you can help doc. I really want to be cure with this disease. I’m still 22 years old, i was 19 when i got this disorder. thank you very much doctor Gerry. Im looking for good surgeon and doctor for my Thyroid problem. My problem is 8-9 year old and it is not toxic. Last Year 2010 I able to give birth with my baby boy and it was normal delivery. I also had doctors for my thyroid that time recommended by my Obe. The doctor said it is better to have it removed basing on the ultrasound. Can you help me, is it possible to visit you and talk. I want like fine scar coz im worried if theres big scar or my voice will be affected since my job requires speaking/talking.. help me..
hi doc good day!im jerlyn maxilom from mandaue city.doc can i visit your clinic but my problem is where is your clinic located? hello doc gerry! this is my landline no.4222170 my cell.no. 09084560466.pls. text me your clinic no. thank you and god bless you! gud day sir. My 3 month old daughter was diagnosed with laryngomalacia and heard it may be relieved thru acupuncture. Is this true and please if u can refer me to a pediatric acupuncturist here in manila. Tnx. God Bless and more power. Doc, i have an problem about my growth…I’m 17 years old from davao city here in philippines…I’m 128 pounds but I’m only 4’9 of height… Doc, could i ask for advice if I’m gonna get taller?? or there are be injectable to get taller? Just have self discipline to lose weight. This is able to be the wonderful weblog for anybody who wishes to seek out out about this subject. You recognize rather a lot its just about arduous to argue with you (not that I severely would want…HaHa)!!! You actually put a brand new spin on a subject thats been written about for decades. Nice issues, simply good! Indeed you are helping people (us) understand our disease/s and thru this (your) site, you are educating us and giving us our prescription to better health. Good day! I’m one of your patient in Cebu, presently having a holiday. At last i found your website. I’m so happy! Can i ask some favor Doc? im taking Avamax 20mg, hapit na mahurot akong gdala nga med doc. Unsa man akong i replace for the meantime? Naa man diri daghan Crestor 10mg & Lipitor 20mg hinatag. Asa man ani ang similar to Avamax 20mg? ok ra ni doc? or i have to really look my med. here? Mahal doc oi! Nakuyawan ko doc kay they say here nga mag pa check sa liver after pila ka months taking the said med. Pls help me & give me some advice doc. Daghang salamat kaau doc. God bless & regards to Ivy.. This is Alma Te from Ozamiz City, I was your patient before and my thyroid gland have been removed 100% by dr george ang last 2003. unfortunately, i can’t remember anymore when was the last time i visited your clinic, am very sorry to say that i stopped taking medicine because i was treated by my ob-gyne to have another baby but until now still longing. Am very happy to see your website and got your telephone number for me to call for an apointment. hope to see you again soon. Thank you very much. God bless us always. dear doc, i’m waiting for u’r response.. my only problem is parang may nakabara sa akin lalamunan..
Hi doc gerry, I knew you through my sister pura and my husband antonio remo jr. He was your patient just recently. Hi Dr Tan. I’m a 48 year old male who is being treated for Pituitory Gland damage from radio therapy for a tumor when I was 22. I have been badly treated by past Dr over the years starting 12 years ago, when I went for help they either made me feel stupid or a pervert! I changed Dr’s to an old friend of mine who used to be a surgeon, he sent me for testing with a specialist. Test showed that my testosterone was very very low at 2.2, growth is low & other’s are also. My problem is I haven’t responded to testosterone alone as expected & was promised after being treated most of this year I would be re-tested for growth by insulin shock testing. my specialist has become quite different with me & now contradicts what he said in the past. trouble is I’m a healthy looking big guy on the outside but this thing has distroyed my life in the past I now realise & is only getting worse. If you cannot help with advise can you please tell me what should my testosterone & growth levels be because the chart for testosterone they are quoting ranges from about 9 to 38! Thanks for you time & any advise you can give I’m very depressed with this as I’m only Englands brilliant National Health not private, but I feel in these times of cut backs it’s only the money they’re thinking of not my health, happines or future damage to my health. Thanks again Christopher Rodgers. I am Nerissa M. Cabalan, 42 yrs old from Butuan City of Mindanao. I’m one of your patients since 2006 if not mistaken. Doc, this is regards with Ms. ivy assigned in your clinic relative to the policies she imposed and i don’t know if you are aware some with those rules. I don’t have any intention to malign a person but only to share the sentiments i had encountered last Nov. 8, 2011, my schedule for follow up check up. My name listed no. 3 from the first come first serve basis through my brother who stayed late just to be with that number and left immediately for he has still work to attend to. I came at 8 am more or less but unfortunately Ms. Ivy did not honor because there was nobody “daw” during the roll call. Honestly, i was really disappointed with what she said considering the effort, the days that were absent from the office and the money spent just to be there during the check up scheduled and all of a sudden my purpose wasn’t realized knowing how particular you are when it comes to check up. I just hope you will understand Doc and God bless. Nerissa… yes because the one posted in the wall is not sanctioned by us…its the roll done by patients that I am the first you are th second. If you are not there during the time we call the names then most likely you wont be included in the first come first served. I dont know how to make this better but my advise is to get an appointment. to avoid this hassle. The reason we dont honor the list is patients from Cebu will already write their names the night before and go home while the new patients frrm the provinces can no longer be accomodated who traveled early to hopefully get a slot. call Dec 1 for Jan 1-15 appointment; call Dec 16 for Jan 16-30 appointment. doc gerry, u have no response? busy? Hi Doc Gerry – Good morning. Do you have another clinic/office number other than 253-5460. It seems that number is not working anymore. My aunt from the province who is your patient and is trying to get a confirmed schedule for consultation on January 12, 2012. Hi Doc Gerry – Please disregard the email above. I was just able to get through the number and was able to talk to Ivy. Unfortunately, it’s a full skd already for Jan 1 – 15, 2012. I didn’t realize that’s how good you are and very sought after :-)! We’ll try queuing up starting at 1am onwards on Jan 12. Hello Doc Gerry – I wonder if you’re familiar with Percutaneous Ethanol Injection to reduce the size of thyroid nodules. If so, is this treatment available in Cebu? Thanks. Hi Nikki… it has been tried for cysts with variable results but we dont do the said procedure here in Cebu. Thanks for your write-up. I have usually noticed that a majority of people are desirous to lose weight as they wish to show up slim along with attractive. Having said that, they do not generally realize that there are more benefits to losing weight in addition. Doctors say that obese people are afflicted with a variety of illnesses that can be directly attributed to their excess weight. The good thing is that people who definitely are overweight and also suffering from a variety of diseases can help to eliminate the severity of their particular illnesses by losing weight. It’s possible to see a steady but noted improvement with health whenever even a minor amount of fat reduction is achieved. Hello Khazzei… unfortunately you stop growing once your bone epiphysial plate starts to fuse, usually around the age of 18 to 20. So please stop taking supplements, they in turn can cause more harm than good. Growth hormone will no longer work because of your age. I’ve been exploring for a bit for any high quality articles or weblog posts in this sort of house . Exploring in Yahoo I finally stumbled upon this website. Studying this info So i’m satisfied to express that I’ve an incredibly good uncanny feeling I found out exactly what I needed. I most certainly will make certain to do not omit this site and give it a glance on a constant basis. Hi Doc Gerry. I am a 27 year old male but have the body of a 16 year old boy. I am slim built with a thin bone structure and have a small face. This has long been a problem of mine not only because it is aesthetically displeasing to me but also has its practical disadvantages. After doing some research on the net, I’ve stumbled upon HGH. Since then I’ve been reading up on HGH and learned that while it can solve my problem, it also can or will have negative effects. Having realized this, I am still determined to take HGH provided it is done under the strict supervision of a medical expert. I need a doctor who could make me fully aware of what I intend to get myself into and temper the health risks and disadvantages of HGH with its desired effects. What I’d like to ask you Doc is if you would generally recommend HGH to me and if you would admit me into some type of HGH program/treatment if so. Thank you very much for your time. May I also know if you have already previously administered HGH to a similarly situated patient? Thanks again Doc! Hi Doc Gerry. I’m sorry for posting twice in a row. I would just like to clarify something about my post after reading your answers to previous inquiries regarding HGH or growth hormones. My understanding is that you would no longer recommend growth hormones to people older than 20 if they wish to become taller. I am a 27 year old male and I intend to take growth hormones NOT to become taller but to have bigger wrists, ankles, hands, feet, jaws, chin, and skull. I am 5’8″ in height and satisfied with it. I intend to take growth hormones to have a more mature face and a bigger skeletal frame. I read that athletes who take growth hormones had these side effects. A slight increase in the size of my wrists, hands, jaws, etc. is all I am hoping for. I am aware of the risks hence I would like to take growth hormones under the strict supervision of a medical expert. To those who might judge, I would just like to say that I intend to do this for my personal satisfaction and for my career. Usually I don’t learn article on blogs, however I wish to say that this write-up very forced me to check out and do it! Your writing style has been surprised me. Thank you, very nice article. Hi Doc Gerry, I’m currently in Cebu for a vacation and also to see you for my thyroid problems. The doctors in the US have recommended surgery for my growing thyroid nodule 4.9 cm. I was also told to have my right lobe taken out. The biopsy result is negative. The thought of surgery has always been terrifying for me so I am definitely going to see you hoping and praying that you can recommend an alternative to surgery. I hope I can be accommodated soon since my time here in Cebu is limited. Happy New Year, Doc and more power to you! Heya i’m for the primary time here. I came across this board and I in finding It truly useful & it helped me out much. I am hoping to provide something back and aid others such as you aided me. I like all the helpful info you’ll provide in your posts. I’ll bookmark yuor web blog and check again right frequently. I am pretty sure I’ll find out many new thing right here! Best of luck for someone else! helo doc jerry, salamat s diyos at nakita ko tong website nyo. matagal n kasi akong naghahanap ng magaling n endocrinologist n pwede kong tanungin about s condition ko. may hyperthyroidism po kasi ako doc. and then i take carbimazole(neo mercazole) 20mg everyday for 5 months, then i check again my lab and this is the result. its normal already doc jerry thats why i just want to ask u if i need to continue my neo mercazole 10mg or i need to decrease the dosage of my medication for my maintenance. hindi po kasi ako makahanap ng endocrinologist dito s saudi doc isa akong OFW please help me doc i need your advice about my case. thanks in advance doc may God Bless u and your family. waiting for your reply. Hello, Neat post. There is a problem together with your web site in web explorer, could test this? IE nonetheless is the market chief and a big component of people will miss your excellent writing due to this problem. I will immediately seize your rss feed as I can not in finding your email subscription hyperlink or e-newsletter service. Do you have any? Kindly permit me recognize in order that I may subscribe. Thanks. I know you are a very busy Doctor. So to make it quick, I have a friend/neighbor from San Carlos and also a Tomasian. He had a UAE local friend (a United Arab Emirate national) who was interested and wanted to get a liver-transplant at your hospital. If it is possible with you to treat him, that would be gratefully well-appreciated. At the moment he is on dialysis treatment. If you want the medical reports of this person, my friend Rinocen Canoy (a classmate of your brother Edgar) will send to you via e-mail. For more information in details you can contact my friend at RCanoy@eppi.ae or rinorian07@yahoo.com. I’ve been searching online for an Endocrinologist who specialize in thyroid and luckily found your name. I am so impressed and gives you high respect for all your achievements and success. But I am from Cavite and can’t really afford to fly to Cebu. I wonder if you could recommend a good doctor around here or Manila who, like you, is well experienced in dealing with thyroid problems. I hope you will respond to this query. Hi dok im your kababayan in negros.your the clasSmate of my sister in CSTR.i have a problem in my thyroid.i have already a doctor but almost one year di pa ako gumaling.palAgi akung mahirapan huminga.actually when we go during our fiesta in negros i go to the hospital and have oxygen there cos i cant breath.then everytime were going to a vacation ino oxygen talaga ako.tahts why di muna ako nagvacation ngayun. ;then when i go back to cebu.actually im in working in cebu now.and my sister and my bos told me to find another doctor kasi parang di ako gumaling dun sa doctor ko.thats why i go in your clinic then nag vacation ka daw last jan. i think 2nd week . then i go back on the 3rd week then i talk to your secretary sabi nya one month booking daw OMG!!! tagal naman but i understand .thats why now i wake up early to have a pila near in your clinic.HOPE TO SEE YOU DOC. Ed..sorry pero have i finally seen you? I’ve been on Armour Thyroid for 12 years for my hypothyroidism and have continued using it even after my total thyroidectomy. It has done wonders for me. You told me that you hate this dessicated form of thyroid medication due to its “side effects”. So far, there hasn’t been any proof that it can cause Osteoporosis. Armour Thyroid has been around for over 100 years and contrary to your belief it is still sold in the US and Canada and has gained back its popularity. I’m planning on marketing Armour Thyroid in the Philippines and hoping for your support. I would just like to inquire if u recommend lobectomy lung surgery for my father who has uncontrolled diabetes and bronchiectasis. This was the recommendation given by another specialist, considering his frequent hemoptysis. We were further informed that his right upper lobe lung has collapsed and therefore has to be removed. we are deeply concerned,considering he is a diabetic, though we were advised that his diabetes should be controlled first prior to the operation procedure. He is only 58 y.o. doc. We want him to be with us for a longer time. What can be best done with his condition doc? We badly need your sound advice. Hoping to get your professional feedback, doc. Thank you and God bless! I’d like to confirm the safety of including sweet potatoes in a diabetic diet/meal plan. I’ve read forums and blogs claiming that it’s safe for diabetics to eat them. I’m asking this because I’m planning to replace my daily consumption of white rice with sweet potatoes. i am joan, the youngest of the family having a very limited means financially but glory to God i have finished a 2yr-course as a working student and held various kinds of jobs just to earn a living for our family which is unfortunately not in-line with my study and still thankful for those opportunities…and now another opportunity to be very thankful of has come, after several yrs of browsing the net just to find the answer to my quest; a cure for my mother’s illness, i found your website..
almost 8yrs ago during a medical mission in our town my mother was diagnosed of having a goiter… but until now we wasn’t able to send her for a proper medication due to a financial problem…after scrolling down with this website, i have no doubt that you are the doctor i am looking for, someone whom God will be using to release wellness to my everdearest mother ..
Doc if you don’t mind can you please send me list of corresponding services and fees and some helpful suggestions on my e-mail?, so that i can picture out the amount that we would spent..and start reaching that goal before I would give-up my job and go back home for my mother’s medical attention.. THANK YOU very much po for your time, God bless u more!!! Doc, good morning. I just want to inform you that I wasn’t able to use the discount card of Actos because it has already expired. The coupons were only valid from April 1, 2011 to March 31, 2012. The pharmacy won’t accept it anymore. Is there a cheaper substitute to the medicine or a more recent coupon you can give? Thank you. I am writing you in behalf of my brother whose daughter has been in and out of the hospital due to low pottassium. They want to come to Cebu to look for a specilaists. Please help us. … any advice? Yes Zenaida… she needs proper workup. Again a proper history and physical examniation are two important elements for a doctor to diagnose your neice. Hi doc Gerry H. Tan. This is Mrs. Aclao who’s son was your patient more than 10 years ago. You told me “mrs. ayaw kabalaka kay tanan problema sa thyroid kinaon na nako”. Oh, i love your confidence. in other words you really are an expert in your field. and i didnt doubt that. As a second opinion doctor, you just based your order for total thyroidectomy from the biopsy result i brought from CDO. It was carcinoma. but then, days after my sons’ operation, the only explanation you gave us is that “sometimes sa atong paglakaw sa dalan sa dili nato damhon maigo ta sa kilat”. It’s like a sambingay. Mao ra to imong sulti after knowing that my son’s case is not carcinoma but LANGERHANS CELL HISTIOCYTOSIS. Only from other sources we learned that he may not be operated. SAYANG KAAYO!!! So at least now can you give us an explanation? Was there a mistake? who’s mistake? Where is your practice office? I want to send my mom there for a thyroid check up. How much is the thyroid check up fee? I was browsing the net for the side effects of tapdin when i happened to click on your website. It’s actually my sister who’s been diagnosed with hyperthyroidism way back in 2007. She was hospitalized then, her skin and eyes became yellow after taking carbimazole 20 mg which her doctor prescribed her then. She could not sleep, she was constantly scratching the different parts of her body due to the itch,she became so thin. In panic, her endo advised her to see an internist and she discontinued the medicine. The internist prescribed vitamins to protect her liver and by the grace of God,after about 5 months, gradually her skin color returned to normal, she was healed.She did not,however, returned to her endo for some maintenance medicines for her goiter.Now the goiter is back and she’s back with her doctor again. She’s been prescribed 20 mg tapdin 3x a day and was advised to take another medicine too to protect her liver, just in case. The problem is that she has only taken 4 tabs of it for fear of the possible side effects.Somehow she was already traumatized by what happened 7 years ago.Along with the meds, the doctor advised her to have Radioactive Iodine Therapy either in CEbu or Manila. Then, a few days after that, after taking her medication,she went to a hospital here which offers free consultation, lab and medicines sponsored by German doctors. She again undergone some laboratory tests and the doctor was alarmed by the result of her SGPT- its 92 u/L.Her Hepa B Panel is normal as well as her liver ultrasound. She was not prescribed nor given any medicine but was told to go back to her doctor and inform her of the result. But she doesn’t want to do that. Her doctor might just be offended by her going to another doctor. What is the best that she should do, Doc? Should she go to another doctor or should she consider having the radio iodine? Will she be assessed further to determine if it is really the right treatment for her? Another is that, is it necessary that she be confined considering that she has to be isolated after taking the medicine? That’s all, Doc. Hope you’d be able to read my message. My sister doesn’t have access to a computer, much less to the internet. I am doing my best to help her any way i can. BTW, we are here in Leyte. had to ask. Does running a well-established blog such as yours take a massive amount work? my journal daily. I’d like to start a blog so I can share my personal experience and thoughts online. look at why politicians will continue to romance Nascar fans. form of a general westward track, passing near Bermudaon September 23.
that, although no significant damage was reported outside of North America, acupuncture may be experienced. in dogs. This could physically adapt. Graduates can choose in this free alternative medicine. Mae here. Just want to ask if it is possible to lower down the LH and FSH of man. Whata the mediction?? I guess I’ll just sum it up what I suubmitted and say, I’m thoroughly enjoying your blog. I ttoo am an aspiring blog writer but I’m still new to everything. Hello Doc.im from iligan city po.ask ko lng po ang anu pweng gamot aa thyroid..lumalaki po liig lo at nung mgpaconsult aq sa manila..sbi ng dr.e acidic daw po aq at d daw thyroid pro lumaki tlga thyroid ko po..nsa mindanao po ako ngayon..d p aq nkapg blood test etc.bngyan po ako ng dr.sa manila ng medicine to drink for 3 weeks pro d ko ininom at d n ako bmlik financial rin po ang reason..pls.help me po.. I have the same concern from what jason said. I’m an acidic person as well but lately I can feel a lump on my neck. Pero di naman siya ganun ka visible. I cosulted a doctor but she said she can’t feel anything on my neck (i mean gioter) and maybe related lang daw sa pagiging acidic ko yung nafifeel ko sa neck ko. Recently, nakakafeel ako nang paninikip sa sa leeg ko and I can feel the lump, pero yun nga di siya ganun ka visible. I want to have a thyroid ultrasound to make sure. I can also see in my pictures na may lump yung leeg ko, but piling mga pictures lang. How would I know if goiter ba talaga to and is there a medicine na pwede ko e take before going to any doctor? WOuld suppliments work para lumiit tong lump sa leeg ko? hoping you can enlighten me Doc. Thanks. Hi mira pls see an endocrinologist to help you. Pls stop whatever supplements you are taking. Im HPTH resulting from a TT done almost 10 years ago due to thyroid CA. I am thriving but my quality of life has become such that I no longer find fun and excitement in most activities I used to enjoy because of bone pain, pain in my joins, brain fog etc. Been to many endos and not a lot should I say really understood this disease. One even sent me to a psychiatrist. 😦 Do you have any in depth expertise on hypoparathyroidism? I am in need of help and I can’t get it from the docs that I go to. I am presently working here in Saudi Arabia, but I am from Cebu City. I am diagnosed of Grave Disease, and I am on PTU for 2 years and gradually reduced the dose as adviced. My Endocrinologist adviced to stop my medication recently and now my TSH become 0 result and my T4 is 20. She told me to go for Radioactive Iodine. Now I could not decide because I am scared that I might be going to Hypothyroidism. Doc, Please I need your opinion. I RAI is safe? Thank you and more blessings for you and to your family. Doc,may ipadala ako documents sa office for signature(maxicare)…ipababalik ko sana dito davao..yung charge sa pagpadala,puede deposit ko nalang. Doc Gerry, I live in Davao, and I am impressed with your web page. I will be calling your office soon to schedule an appointment for my wife and myself. Thank you for replying Doc. I will be calling the first week in April. My wife and I look forward to meeting with you. Hi meowk0516…. I need to see you or better still pls see a specialist near you. He or she can help decide whats best for you. Hi Doc Gerry, Good Day to you ! I’m so happy to find your website. I really need your help. I have a son who is a special child but very manageable. He is 25 years old now but still no sign of aging at his age he doesn’t have Adam’s apple hair on his private parts and voice still sounds young. Last 2007 we were in Manila and he was diagnosed as late development and his hormones were not developed fully yet, so doctor recommended to have testosterone injection for his hormones he was injected once a week for testosterone for almost a year but it was not continued since we went back home to Cebu. Now, a couple of years ago I noticed that my son’s breast is growing like swelling . Last May 7, we went back to Manila to have it check cause I’m so bothered . Doctor said he has the characteristic of a male and a female but mostly his feminine side and that’s the reason why his breast is growing. Please doctor help us. please tell me where can we reach you and what time is it possible to have an appointment. I’m the web designer/dev of Cebu Doctors’ University EDP office. I have posted your award in our official website cebudoctorsuniversity.edu. I would like to ask your permission to use your award photo in our website. I hope this will be ok with you. Hi doc Gerry. I just found out your site and if possible i want to make an appointment with you doc this coming 29 july. My days are limited since I’m out of Cebu. Thank po and hope to here from you the soonest. My wife and I have lived on Bantayan Island for the past 5 years. We came here to help the poor of this tiny island and to try and improve the quality of their lives. After Super Typhoon Yolanda, we have been rebuilding the homes of the poor who were destroyed by this catastrophic event. I suffered a heart attack in November, 2014, and returned to the U.S for treatment. On December 24, 2015, we learned that my wife had a brain tumor that had resulted in the loss of most of her vision. My wife had surgery at the Mayo Clinic in Phoenix Arizona on two occasions, this past March 12 and April 27, 2015 for a Craniopharyngioma. The second surgery was quite involved and left her nearly blind. She is taking medications to compensate for a decreased adrenal function currently. We need to see a Endocrinologist here in Cebu to have Marissa’s condition monitored and to check her adrenal functions and adjust her medications, as needed. Can we get an appointment with you sometime between December 26 and January 31? ONLY FEW DOCTORS CAN SPEND TIME IN CATERING PATIENTS INQUIRIES ONLINE. I BET YOU’RE DOING YOUR PROFESSION WITH PASSION AND HEART. I WOULD LIKE TO PAY YOU A VISIT DOC TOMORROW IF POSSIBLE. MY DOCTOR SUGGESTED A SURGERY AND I WANT TO HEAR YOUR SUGGESTION FIRST. GOD BLESS YOU DR. GERRY. I am your existing client but recently I missed visiting your clinic for follow up check up due to work and schedule constraint. I am currently taking tapdin 0.5mg every other day. Does tapding has teratogenic effectduring pregnancy? I am not yet sure if I’m pregnant but what to do just in case. Thank you. Will call your clinic also to verify. Hi Doctor Gerry, how are you? my name is connie, i’m really sad right now my mom went to siliman medical university last week for her thyroid check up her doctor recommend for thyroid biopsy and the result broke our heart Its a Anaplastic thyroid cancer, so i told my mom to find 2nd opinion. so i searched online the best endocrinologist in Cebu city, and i saw your name and experience. And i already trust you doc, i told my mom to go in Cebu city tonight and hope to see u in Cebu doctors hospital….. Doctor i hope you can help my mom,,, i hope there’s some treatment option you can give to my mom, my mom still young…… Her name is Valeria Catipay from Dipolog City……… I’m working abroad so i wish i can be with my mom right now….Doctor please help my mom….. Thank you and God bless. Doc gerry i am from manila , i would like to ask for 2nd opinion , i am a non toxic goiter as per dra alba, i have a 4.5cm on my right and 1.8 cm nodule on my left. Would like to ask if it can be removed thru laser, i started to take medicine today nov 3, 75mg of levitryxonine. hi doc gerry can i ask were is the exact address of your office here in cebu… i would like to visit u for check up i have a hypertyroidism & i take a medicine almost 1yr.. na but.. there is no changes.. would you help me doc. im waiting for your responce here is my email add in facebook.. jerrylyn_barrientos@yahoo.com..
doc, gud pm. naa ko tyhroid nodule nga midako na 60 grams. mag tika dako. kabantay ko ani 5 yrs na. na’ka’pa check up ko ceby nila doc tolentino, tan og bilucura wala may tambal. ako thyroid result normal man. pa operahan ba jud ni nako? mao ila ingon pa opera. mibati ko kahadlok opera.mag pa second opinion ko nimo. need opera ani? kulbaan ko. salamat dok imo tagaan gamay nga peace of mind. Hi Doc. You have such an impressive medical practice record,,. I am a transgender and I’m looking for a proper doctor to consult for my hormone replacement therapy,. But from what I have read I think you haven’t handle a patient like me., but I was hoping that you might recommend a suitable specialists for my condition. Thank you so much,. Hello princess,i found on what you wrote here is also related on what i’m looking also.. have you found anyone about HRt? Dr. Tan, I am moving to Cebu City 1/19. Visiting 4/18. I am male 52, on Testosterone therapy. Im worried about continuation once I move. I would gladly meet in April for consult. Do yo provide this treatment? Please a referral or two if not. i am aireen y clores one of your patient… i would like to make an appointment check up with you on january 11, 2019… i tried to cobtact your clinic since december 1 but cannot get through the lines…. i am hoping i can get an appointment schedule for my follow up check up. I would like to make an appointment check up on the third week of April. May be April 17, 2019 if it is possible. Please inform me if I could get an appointment with you. Thank you and good afternoon!